Kris Jenner is a proud mother and grandparent who loves to brag about her family on social media, but her latest Instagram post about Kourtney Kardashian’s son Mason has the internet seriously confused, even though it totally shouldn’t. However, the Mason we’ve seen on countless episodes of Keeping Up with the Kardashians has brown hair, not black hair like the child in the photo. Fans were left confused and wondering, did Kourtney dye Mason’s hair? Kourtney also posted a photo of Mason on her Instagram account just two weeks ago where his hair appears black and fans left similar comments. Before you freak out and call Kourtney a terrible mother, just hang on. We did our research and have evidence that we believe proves Kourtney did not dye Mason’s hair. Many Instagram users think the darker appearance of Mason’s hair is just because he finally got a haircut, saying they cut off all his light brown hair that had been highlighted by the sun. “Mason’s grown out hair was highlighted by the sun until Kourtney CUT IT ALL OFF. So it’s naturally dark,” said @ms.angry1994. “People! It’s normal for a kids hair to go from blonde to dark! It happens all the time even in my family! 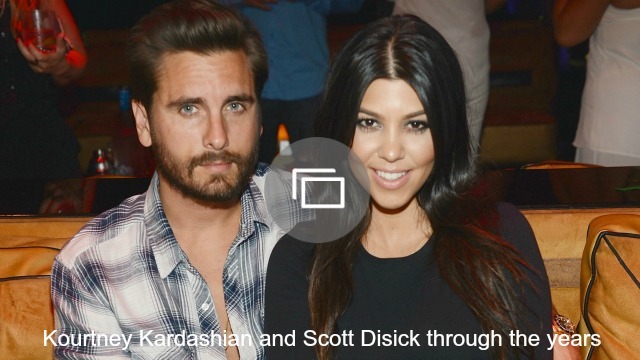 They are Armenian and it was only time before they will get that Kardashian hair,” said @alyssaeskander. “I doubt Kourt would dye her son’s hair! Kourt is so into her natural organic ways, why would she put chemicals in her sons hair? When young kids spend time in the sun, pool with chlorine and the beach, your hair will eventually go lighter. By her cutting it short, it’s going back to his natural dark color,” said @ritap81. Honestly, we have to agree with this theory that the darker appearance of Mason’s hair is just because he got it cut. As you can see, Mason’s roots look dark in the photo below of Kourtney and her son taken during November 2015. So, did Kourtney dye Mason’s hair? Has Kris finally lost her mind? We’re going to have to say no to both of those crazy questions.